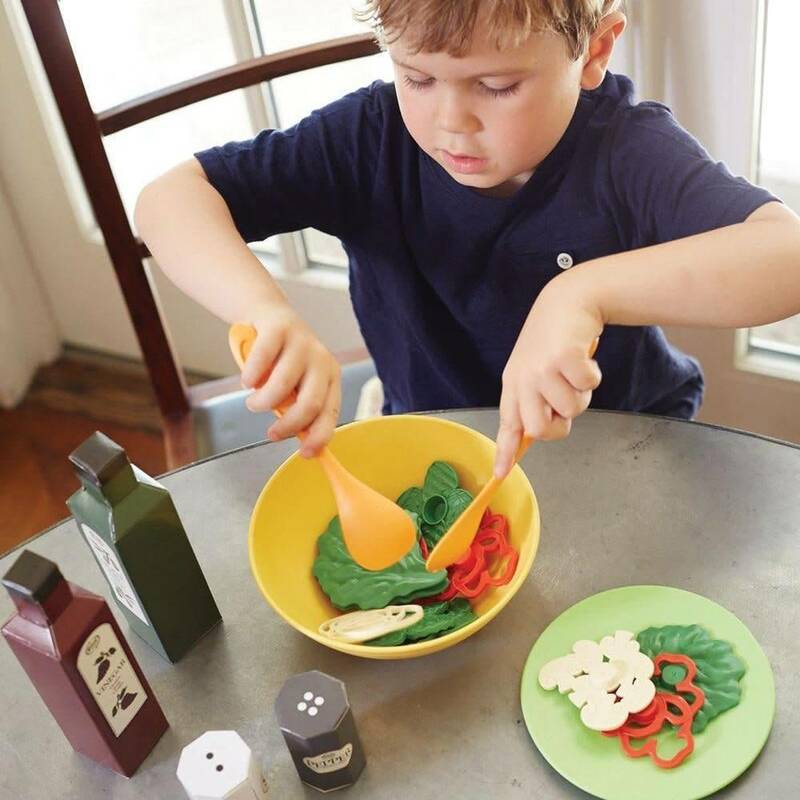 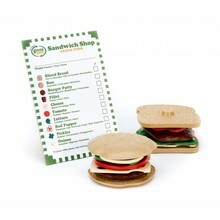 Watch healthy eating habits sprout with the fresh and fun Green Toys™ Salad Set! 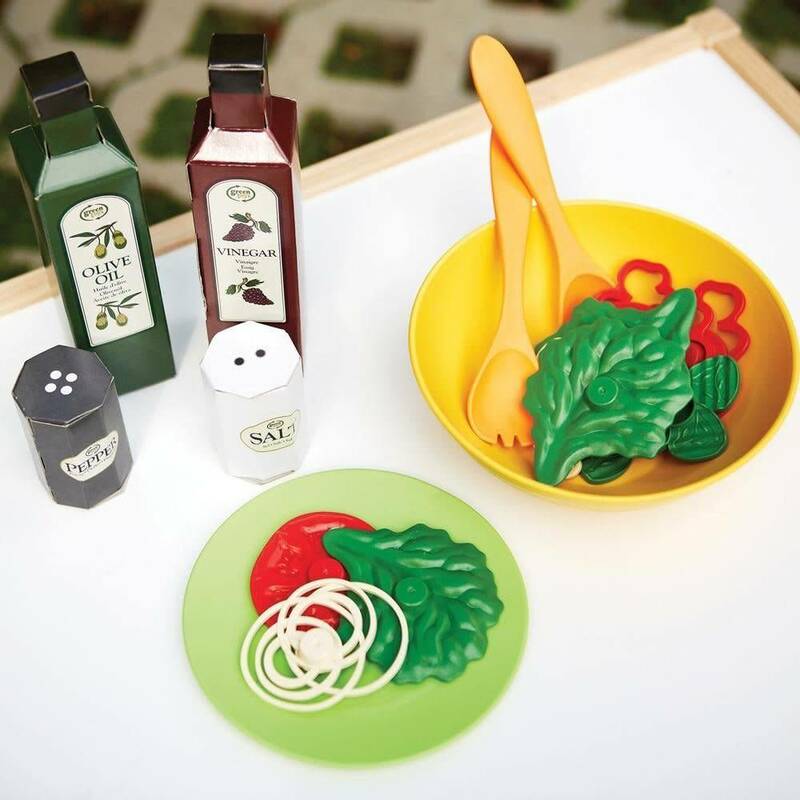 Toss up lettuce and veggies and top with a dash of dressing or salt & pepper for the greenest salad around. 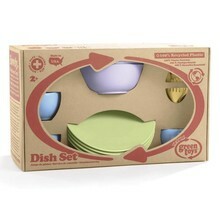 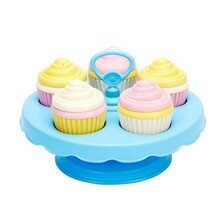 In this 20-piece stackable set, each realistic part is made in the USA from food-safe, 100% recycled plastic milk containers that save energy and reduce greenhouse gas emissions. 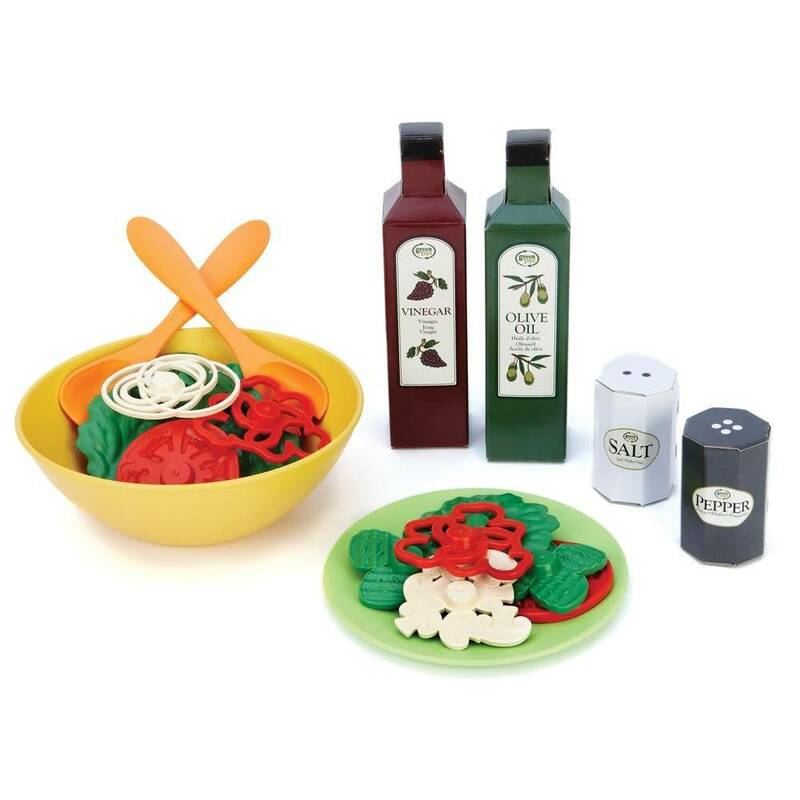 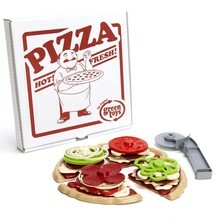 Sized for Green Toys kitchen sets and interchangeable with other Green Toys play food products, the Salad Set includes a serving bowl, salad plate, 2 serving utensils, 3 lettuce leaves, 3 sets of cucumbers, 2 tomatoes, 2 red peppers, onions, mushrooms, and fold-your-own oil & vinegar and salt & pepper.